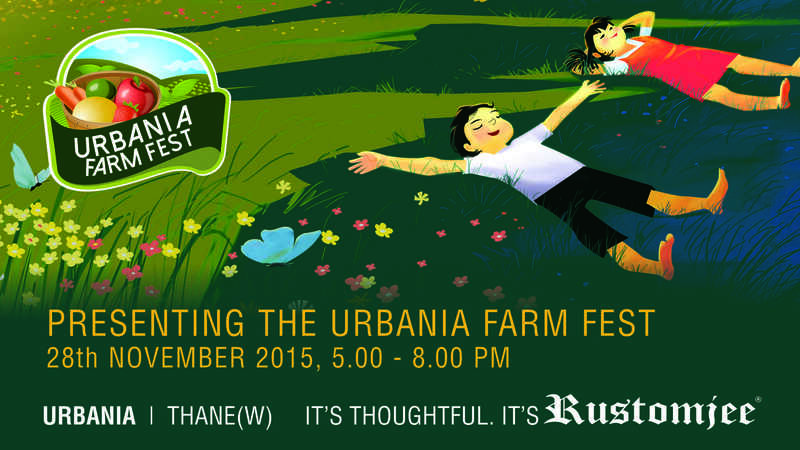 Rustomjee is organizing a unique festival of farming and gardening for children to experience agriculture in the urban context. With activities like fresh farm cooking, plantation and home gardening planned at the green spaces of Urbania Township in Thane, the aim is to increase the green knowledge of kids today. Simple experiments with nature and natural ingredients through the evening aim to create awareness in kids about green living. This includes workshops on recycle craft, games, book reading, plantation and urban farming. From adventurous stories of TOTO the Auto, to dramatized storytelling and the clay modelling, your children will have all that is needed for a traditional and fresh evening.